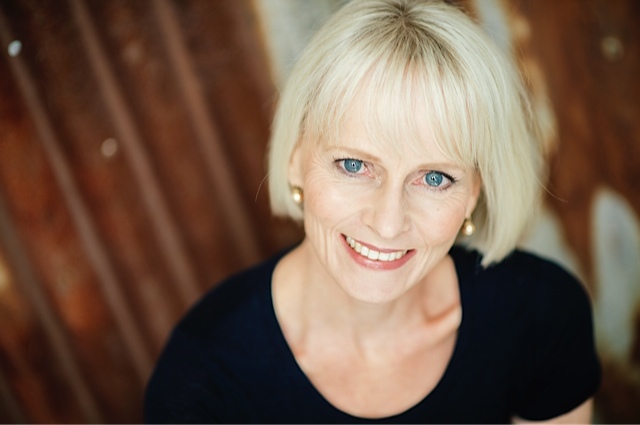 Lucy Treloar was born in Malaysia and has lived in England, Sweden and Cambodia as well as her hometown, Melbourne. 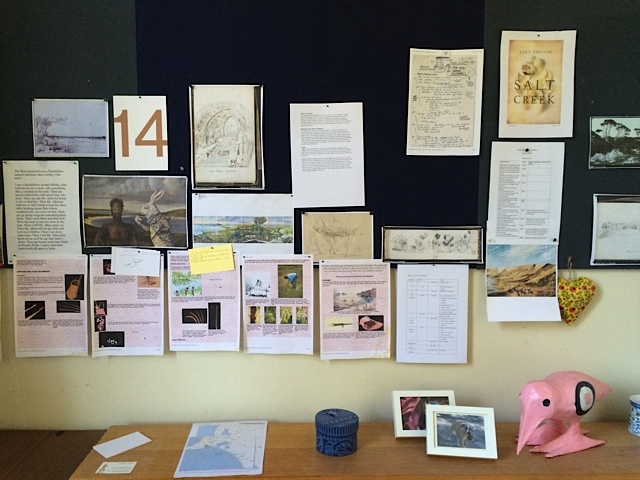 A graduate of the University of Melbourne and RMIT’s Professional Writing and Editing program, Lucy divides her time between writing and her work as an editor and mentor. Lucy’s writing career started with rock music journalism while at university. Later, at RMIT, she wrote and had several children’s chapter books published before beginning her first adult novel, which went on to win the Writing Australia Unpublished Manuscript Award in 2013. More recently, Lucy was awarded the 2014 Commonwealth Short Story Prize (Pacific). 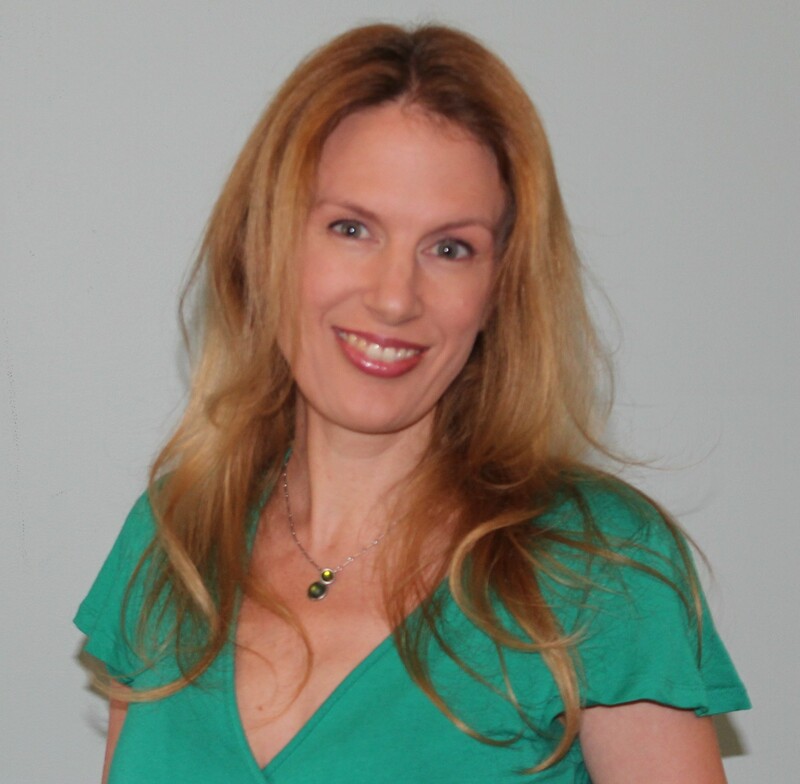 Her short fiction has appeared in Overland, Seizure, Sleepers Almanac, and Best Australian Stories 2013, and her non-fiction in a range of publications, most recently Womankind magazine. Lucy’s critically acclaimed debut novel, Salt Creek (Picador), was published in 2015 and is available in bookshops now. One of my sons, a keen cricketer, used to maintain a running commentary of his every cricketing move: “He comes in to bowl and lets loose a yorker…” The inside of my head wasn’t so different when I was a child. I was always looking for the right words to describe thoughts, feelings and actions—not only my own—and to construct narrative arcs for my world. These ran through my mind constantly, a little like CNN strip headlines. It finally occurred to me that I could actually write some of these down, and embellish them and they could become books. A little encouragement for a writer goes a long way. For me, the most significant thing was winning the Writing Australia Unpublished Manuscript Award in 2013. Suddenly, I had publishers contacting me, and had an agent before the week was out. It wasn’t plain sailing after that, but I’d broken out of the dreaded slush pile and it made a huge difference. 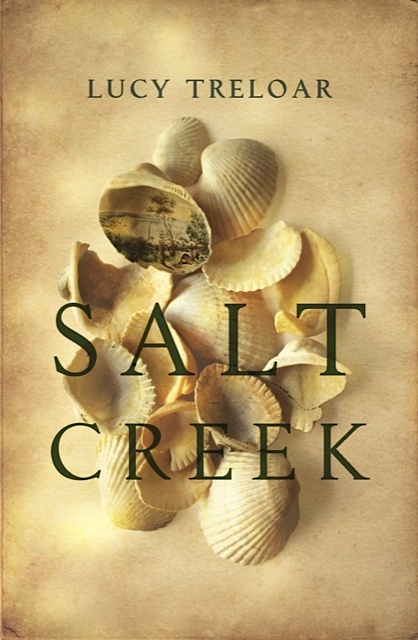 My new release, Salt Creek, is an historical novel set in South Australia’s wild and remote coastal region, the Coorong. Told by Hester Finch, fifteen at the book’s beginning, it’s about the large, educated and idealistic Finch family falling on hard times and being forced to move to untried country to try and restore their fortunes. I was fascinated by the ways people might be driven to behave in isolation, when under great pressure and stress. It explores many things: the possibilities for women at the time, what it means to be civilized, and relations between European and the indigenous Ngarrindjeri people. But it’s also about love and its many forms: romantic, passionate, transgressive, paternal, familial and dutiful. My writing is highly evolved to flourish only in an environment where the alternative is desperate boredom, which I have a horror of. I have two work spaces (because I’m a hopeless case): a sparsely furnished writing studio—undecorated and absolutely internet-free, or I’d never get any writing done—and my home desk, which is fully connected to the outside world and somewhat chaotic. Alongside the standard tottering piles of books and papers are two pencil jars, seven and a half pairs of earrings, nail files, four moisturisers, and a tower of boxes for paperclips, power cords and change—also dust, and a container of pins. It’s best not to think about. My days vary a lot. If I’m writing—which is most mornings when I’m on a deadline—I start in bed at around 6.00 a.m., pot of tea at my side, handwriting whatever scene interests me, and go into my studio at 9.00. I don’t let myself leave until I’ve written at least a thousand words. The afternoon is taken up with my other work, which I do at home in my Internet-friendly office. My dogs snooze in their bed to one side and let me know when it’s time for a walk. I start with handwriting, sometimes building scenes from snippets of dialogue or a sentence that has come to me at some stage and I’ve made a note of. Then, at my office, I use the handwritten material as my jumping off point for the morning’s writing. I often have scenes or events that I’m building towards without any idea how to get there. I keep feeling my way along, following the characters and watching how they behave. It can get quite nerve-wracking. I don’t generally write in a linear way; it’s more as if I’m creating the pieces of a quilt that I have to connect later. I move scenes around, in hard and soft copy depending on the stage, until something coherent emerges, and then start on the second draft. There is a level of satisfaction to getting a sentence right, or lighting upon the exact word to convey a meaning that gives me a level of satisfaction—part emotion and part intellect—that I just don’t get anywhere else. It’s rare, and not really something to aim for, but nice when it happens. Also, I have things to say and it’s my aim to communicate those things in ways that will be felt by readers at a deep level, not only understood. Reading has always been one of the best things in my life. What could be better than creating something that moves people? Places often inspire me. It doesn’t have to be a landscape, though sometimes it is, but it does need to have a rich atmosphere that I respond to strongly and that I want to explore and inhabit with people. With Salt Creek I had a few intriguing fragments of family stories dating to the 1840s, which had always made me wonder. The work of great authors is daunting, but inspiring too. I read and reread and try to learn from them. 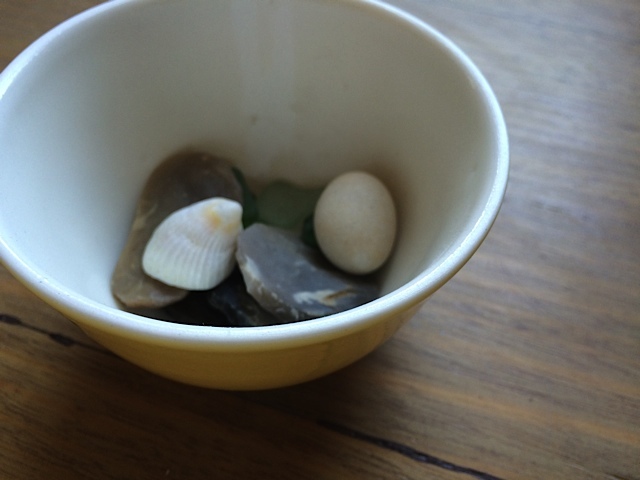 Objects can be important too: a small white stone, sea glass and old flints all made their way into Salt Creek from a bowl of these things I kept on my desk while writing. Holding and feeling them brought the world I was creating closer. I find myself the hardest thing about writing. I have to shut myself away in a very boring and quiet room, blinds drawn, to create for any sustained period. Like many writers, I’m filled with self-doubt. Getting words on the page despite these things is very difficult, but at its best also incredibly rewarding. My major writing discovery was that writing isn’t easy, that everyone works at it. It’s not a matter of waiting for inspiration, but of getting started and keeping on going despite the doubts. I’d like to keep writing, for my skills to improve and to write another book that’s good enough to be published. (Some days this seems presumptuous.) I wish genre classifications were less important, that the undercurrent of snobbery about terms such as “chick lit” disappeared, and that gender bias in book reviewing became a thing of the past. Tax breaks for people working in the arts to reflect the contribution they make to cultural life as well as the economy would also be incredibly welcome. Marilynne Robinson, Hilary Mantel, Charlotte Brontë, Kate Richards, Jane Gardam, Ali Smith, Georgette Heyer… I could keep going for quite a while.